If you didn’t achieve all you wanted this past school year, this is the week we will take action to make next school year more successful. It’s the first step in the planning process, so we are going to get a great head start. Sometimes we homeschool moms focus on what isn’t working and forget all the progress we’ve made. Today, spend some time answering the questions Marianne Sunderland shares as part of her end-of-the-year homeschool assessment. You may want to write your answers down and include them in your records. If you set goals for last year, make sure you evaluate your progress. Resist the temptation to answer yes or no to achievement of them. How about a percentage achieved? Don’t limit yourself to academic goals, to goals only for the kids, or to goals you and your children aren’t excited about. 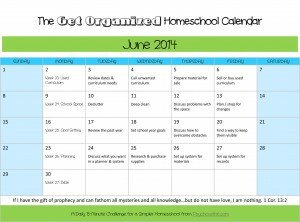 Growing in His Glory shares some tips for school year goal planning and a free printable, too. If you’re anything like me, you love setting goals, but aren’t as excited about doing the work to reach them! The best defense against this problem is to discuss what is likely to get in the way of you achieving your goals and how to overcome potential obstacles. Be sure to pray and involve the whole family in the process. Goals and strategies for overcoming obstacles will do no good if we don’t plan how to remind ourselves of our goals. You may want to add your goals to your planner as I will, using A Plan in Place. You could post your goals on the refrigerator, review them each day or week, and talk about how to get back on track if you aren’t making progress. 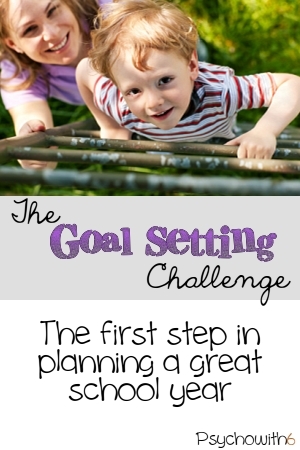 For more on goal setting, I recommend reading How to Set Goals That Work and following the Organized Homeschool Pinterest board for fabulous printables to use in the upcoming school year. What is a goal that you’re excited about achieving in the upcoming year?